SEMA Hall of Fame - Thurston Warn, 1986, Warn Industries. 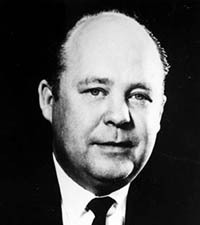 Thurston was a true pioneer of products for off-road vehicles, the original designer of four-wheel drive hubs for Jeeps. Warn Industries is best known today for its assortment of heavy-duty winches, while the development of locking hubs earned the company original-equipment contracts with Willys, Kaiser-Jeep and International Harvester in 1960. 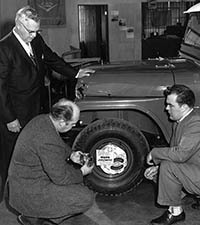 A year earlier, in 1959, Thurston had expanded his company’s off-road accessory offerings by adapting a logging tool—the electric winch—into a recovery device for recreational four-wheelers. In 1981, Ford announced that the Ranger 4x4 pickup would feature Warn M250 manual locking hubs.